Please fill out the form below to subscribe to our newsletter, update your contact information, learn how you can support Berkeley, or ask additional questions. Subscribe to Berkeley Online International Edition, our monthly newsletter. 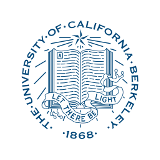 Learn more about supporting Berkeley. Please enter any questions or further information you would like to share in the field below.